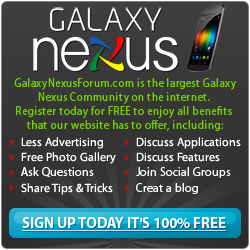 Below you will find a list of discussions in the Galaxy Nexus ROMs [LTE/CDMA] forums at the Galaxy Nexus Forum - Samsung Galaxy Nexus Community. The Galaxy Nexus ROMs [LTE/CDMA] forum is for discussion of: Discussions and information for custom Galaxy Nexus ROMs for the CDMA/LTE version. This area contains various Galaxy Nexus ROM releases..
[ROM][AOSP][4.0.3][CDMA] Gummy 0.9.0 - 03/24/12 - The Remodel! My Phone only charges when Its powered down?? Nightlies users - how often do you update?